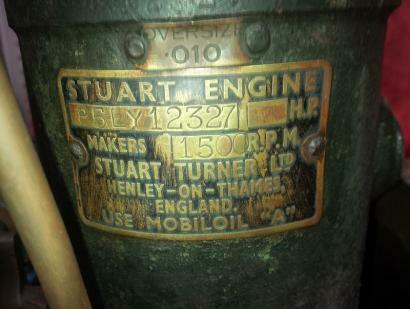 This is a 1940 Stuart Turner generating set. 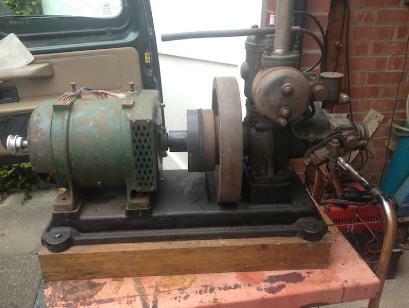 It is a P5LY engine coupled to a Stuart generator rated at 100v DC 10 amp. The engine is a 2 stroke and is water cooled and fitted with a water pump. It used to be fitted with a pilgrim 2 stroke oil mixing pump but this has been removed. It is believed to have come from a Vosper Thorneycroft Motor Torpedo Boat where it functioned as an auxilliary generator.